Founder and CEO, Churchill & Harriman, Inc.
Ken Peterson has more than 30 years of experience developing and implementing enterprise risk management and human resources consulting solutions. Peterson founded Churchill & Harriman (C&H) in 1986. Beginning in 1997, C&H has developed and implemented enterprise risk management and third-party risk management solutions for large enterprises. C&H helps clients select and implement controls, processes and tools that identify, measure and manage enterprise risk. Under Peterson’s leadership, C&H advises clients on enterprise risk strategy and is entrusted by healthcare and financial services clients to settle global regulatory findings. C&H protects and enables enterprise and government agencies’ critical infrastructure. C&H also serves Fortune 100 clients in healthcare, defense, entertainment, finance, insurance, life sciences, manufacturing, mobile commerce, technology and transportation. Under Peterson’s stewardship, C&H has executed thousands of third-party risk assessments globally beginning in 1998. C&H is an Assessment Firm Member of the Shared Assessments (SA) Program, actively contributing to the AUP, the SIG, the Technical Development Committee and public outreach programs. Peterson serves on the SA Program’s Steering Committee, External Advisory Board and as the formal liaison between these two bodies. Peterson was also an original President’s Leadership Team Member for the PhRMA-sponsored SAFE-BioPharma Association; C&H consults to the Association and its members. Peterson is an active leader in the international standards community and C&H earned the distinction of being the first approved ISO 27001 and BS 25999 (ISO 22301) Associate Consultancy by a leading global registrar. Peterson and Churchill & Harriman are privileged to support several charities, including the Intrepid Fallen Heroes Fund, Iraq and Afghanistan Veterans of America, Plan International USA, Special Operations Fund, The Earth Institute and UNICEF. 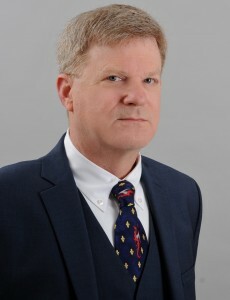 Chief Operating Officer, Churchill & Harriman, Inc.
Ed Beesley is the Chief Operating Officer at Churchill & Harriman with overall responsibility for Sales, Operations, Technology, Product, Strategy and Delivery. Ed has over 40 years of cross-industry experience in driving positive change and is a highly experienced executive with a proven record of developing strategies and business operations that drive business results. Previously Ed was the Global Head of IT and Digital Services for the Certification and Business Enhancement (CBE) business at SGS based out of Geneva, Switzerland. Ed was responsible for the creation of SGS’ global cybersecurity business and for the applications required to run the business. Formerly, Ed was Senior Vice President for Gartner where he oversaw Gartner’s entire infrastructure including IT, facilities, real estate, travel, security, purchasing, client care, business operations and services. Ed also served as Executive Vice President and Chief Technology and Operations Officer for Escada AG, a Germany based Women’s fashion company. 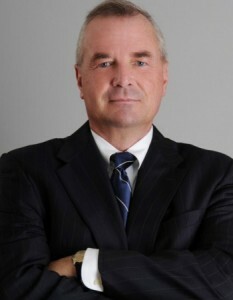 Ed earned a bachelor’s degree in Economics from Rutgers University and an MBA in Management from Fairleigh Dickinson University. He has served on the Board of Directors of the New Jersey chapter of The Society of Information Managers (SIM) as well as the boards of two California based private corporations. Ed has also been a charter member of the New York Electronics Crime Task Force administered by the United States Secret Service since 2000. Principal Consultant, Churchill & Harriman, Inc.
Donald Williams is a Principal Consultant for Churchill & Harriman, Inc. During this time Don has spearheaded the firms ISO 27001 service offering. He has significantly contributed to C&H’s long-standing record of assisting clients to achieve 100% first time certification to the standard. He has worked with clients on other complimentary standards, such as ISO 9001, 22301, 22307 developing methods to harmonize an approach that allows multiple certifications to diverse standards while minimizing cost and time to certification. Williams has also integrated the Shared Assessments program’s Standard Information Gathering (SIG) tools and the Standardized Control Assessment Procedures (SCA) assessment into C&H’s service offerings. He was a participant to the Shared Assessments’ 2010 publication, Evaluating Cloud Risk for the Enterprise: A Shared Assessments Guide. Williams has also pioneered the combining of an AUP with a NIST SP 800-53 assessment in order to enable clients to meet multiple contractual and regulatory requirements. Previously Williams worked as a Program Director for ProcureStaff, Ltd., managing and supervising a 27-person service delivery team. 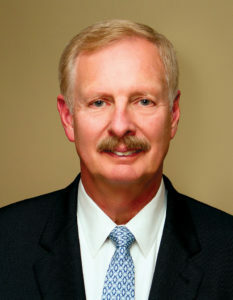 Williams led the company’s largest team, supporting its largest client. Williams has also successfully led services programs with ThruPoint, Inc. and Cabletron Systems, Inc.